Are you a Manufacturer looking to use online rebates? Watch the video and contact us to get started. FSpromos4u is a place you can go to quickly and easily redeem rebates online. No need to worry about postage or having a rebate lost in the mail. With FSpromos4u you can now submit rebates to be processed online. You will be able to track the progress of any rebate you submit and know exactly when any of your rebates are processed and the amount of money you saved. With FSpromos4u, you will be presented with other offers based on your redemption history and profile. Easily find other great money saving rebates. 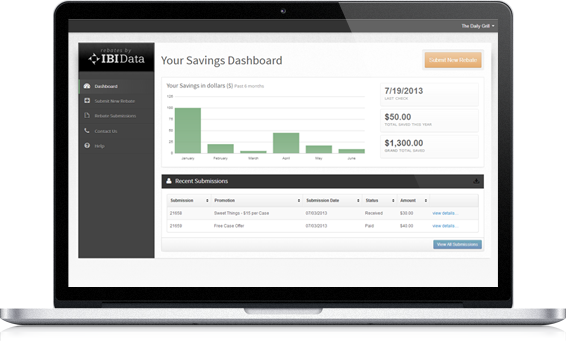 With the Savings Dashboard, you will be able to track your savings across all of the rebates you have submitted.